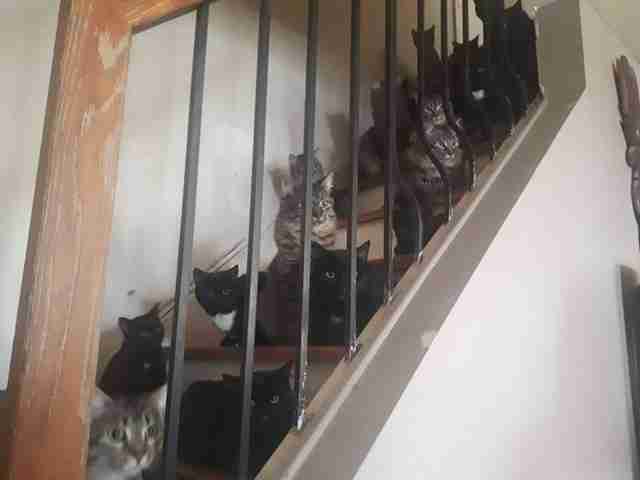 "It turns out there were about 120 cats in the house." Every year, Toronto Cat Rescue helps save around 2,700 needy felines, but perhaps never before have so many come from just one place. The Canada-based organization received a call last week from a woman in desperate need of relief. 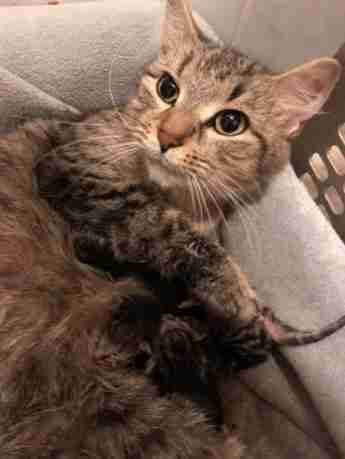 She'd taken in a few cats at some point in the past — but failed to spay and neuter them. And now, as a result, she was up to her neck in kitties. Upon visiting the home, rescuers found an incredible number of felines. "It was difficult to count, as you can imagine. Cats were running all over. It turns out there were about 120 cats in the house," Belinda Vandersluis, executive director of Toronto Cat Rescue, told The Dodo. "There were all ages of cats. They all look very similar. In this situation, they are all related." Fortunately, aside from a few having fleas and worms, the cats were in surprisingly good health given the circumstances. Though this is a case of hoarding, the owner appears to have been trying her best. "It must have been an enormous burden," Vandersluis said. "It was a situation that got out of hand very quickly. 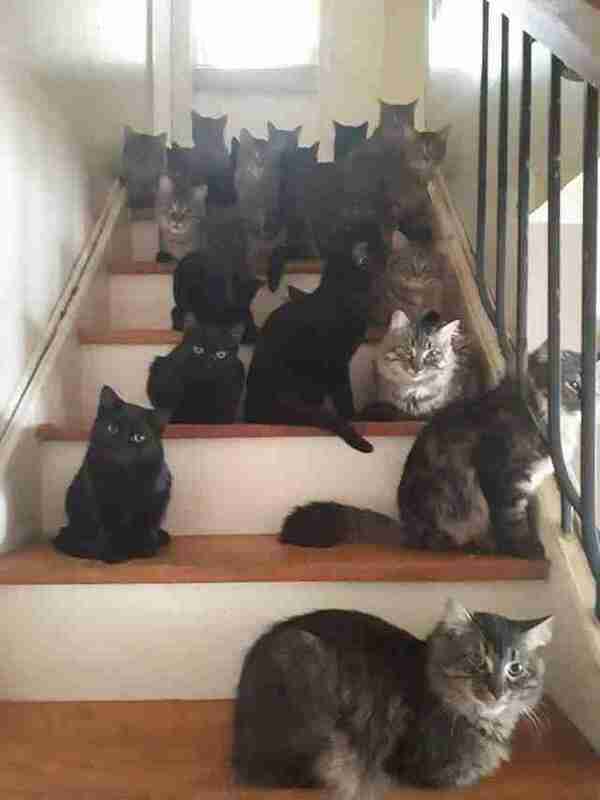 I think they didn’t know how to get out of having all these cats in their home." Vandersluis believes the situation may have begun with as few as two cats, a male and female. Since they, and their subsequent offspring, were never fixed, the number of cats in the home rapidly increased. "You can imagine, if kittens can have kittens themselves at 6 months old, the exponential problem you can have — cats making more cats very quickly," Vandersluis said. "The person was trying to care for them the best they could, but it wasn’t a pleasant place to live, or visit, in terms of how it smelled and so on." Thankfully, for both the cats and their owner, relief is now in sight. Toronto Cat Rescue has so far taken in 50 of the cats, while their partners from Toronto Animal Services and the Toronto Humane Society have stepped in to help with the rest. "Pretty much every one of them is saved and will end up in a great adopter’s home," Vandersluis said. "It will be about four weeks before they’re ready for adoption." 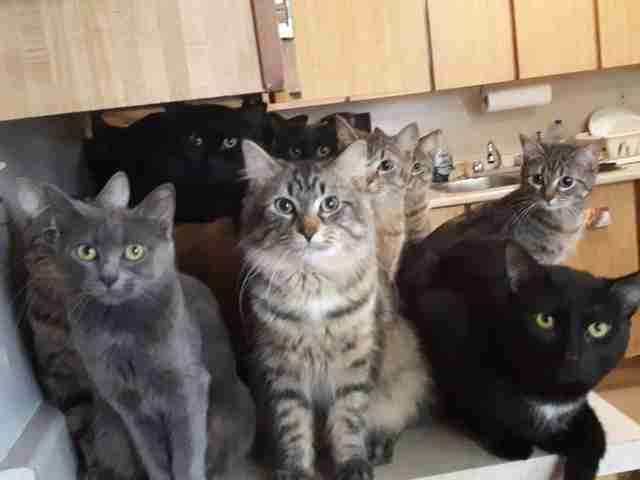 According to local bylaws, homeowners are limited to six cats per home. 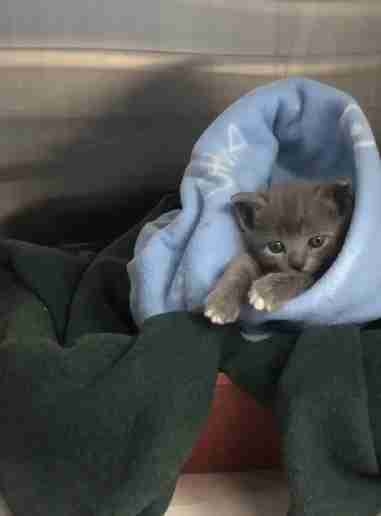 However, since the owner is being cooperative and the cats are healthy, and because she initiated the rescue herself, charges against her are not currently being considered. Vandersluis hopes the case will underscore the importance of spaying and neutering, lest other pet owners find themselves similarly overwhelmed. "In this particular situation, it’s a pretty good outcome," she said. "In some hoarding situations, many of the cats aren’t in good enough shape to survive. So, we’re really grateful that we had the opportunity to step in now, before things got worse." Toronto Cat Rescue is a volunteer organization which spends between $550,000 to $600,000 a year on vet care for needy cats. You can support their efforts by making a donation here.